For one hundred years, there was not a single murder in the region of West Cork. In 1996, that peaceful illusion was shattered forever. "Take my advice and listen to West Cork—you will be amazed, angry, sad, haunted, transported to Ireland, and you will feel like you know these people and what happened to them." 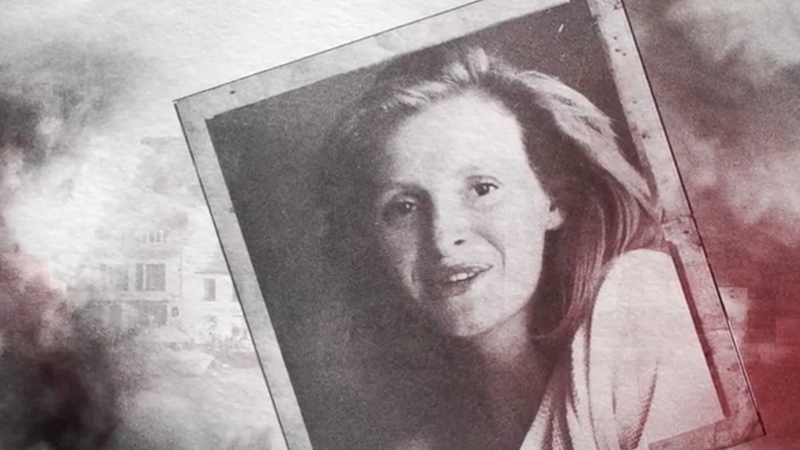 When 11-year-old James Renner fell in love with Amy Mihaljevic, the missing girl seen on posters all over his neighborhood, it was the beginning of a lifelong obsession with true crime. 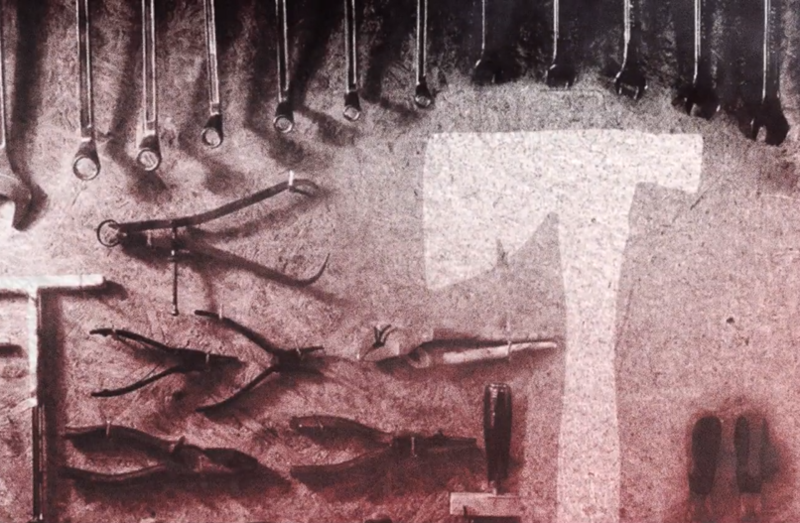 That obsession led James to a successful career as an investigative journalist. It also gave him PTSD. In 2011 James began researching the strange disappearance of Maura Murray, a UMass student who went missing after wrecking her car in rural New Hampshire in 2004. Hours before the murder, an ominous premonition. A traumatized town abounds with rumors and theories. The crime’s brutality unnerves a veteran detective. Once serene, the town’s isolation turns sinister. A mysterious outsider is seen lurking in West Cork. 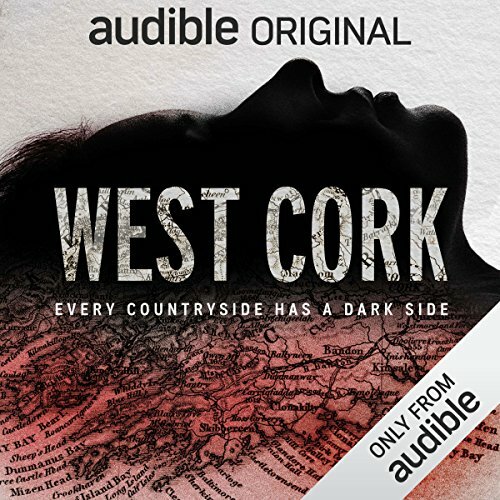 Featuring interviews with investigators, locals, and even the case’s elusive prime suspect, West Cork is true crime as you’ve never heard it before. Journalist and editor Sam Bungey began his career in Dublin as cofounder of the national monthly magazine Mongrel. From there, he contributed to a wide range of publications including The Guardian and The Dublin Review. His first foray into audio was in 2011 when he was featured as a contributor on the beloved radio show This American Life. In 2014, Bungey was commended with a Human Rights Award for his work as deputy editor for the public journalism site The Global Mail. Jennifer Forde is a documentary producer known for her uncanny ability to get people to reveal themselves. She has worked with the BBC and a multitude of UK-based independent production companies. Her impressive litany of credits includes directing and producing an episode of The Secret Life of the National Grid (winner of the Royal Television Society Award for History), an episode of the Grierson-short-listed Catholics, and an installment of the New York Times Retro Report series. West Cork is her first journey into an audio-exclusive format. Finished listening to West Cork? In this bonus aftershow, you will hear the latest from executive producer Jesse Baker with producers Jennifer Forde and Sam Bungey on the burning questions sparked by their Audible Original about Sophie Toscan du Plantier’s mysterious murder. What it was like to spend a year of their lives with a suspected murderer? How might the investigation have been bungled? Where does the case stand now? Listen here for answers to all of the above, as well the newest developments in this as-yet-unsolved crime. If you’ve finished listening to West Cork and want to hear more, don’t miss the exclusive aftershow hosted by executive producer Jesse Baker. You’ll hear from Sam Bungey and Jennifer Forde on the making of the series and the crime behind it as they respond to your burning questions: What was it like to spend a year of their lives with a suspected murderer? Was the investigation bungled? And where does the case stand now? Listen here to find out. Fair warning: spoilers abound! 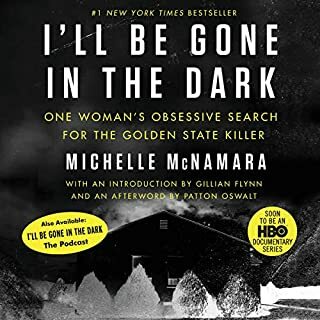 Editor Kat Johnson professes her love of well-done true crime books that strike the right balance between telling an engaging tale and being salacious. Read the full article here! An interesting account of a murder investigation by Irish police of an arrogant Englishman accused of murder in Cork County, Ireland. Although slow in the beginning, the audiobook soon picks up speed and keeps the listener engaged. Definitely worth an Audible credit. Wow. I am so impressed. I downloaded this on a lark, just trying to support Audible Originals and was BLOWN AWAY. I can’t stop talking about it. I tell everyone at work. By episode 4 I had full goose bumps. Beautifully researched. Beautifully plotted. Beautifully executed. Highly recommended. This is a Podcast not a book. Would you listen to West Cork again? Why? Yes! It is wonderful - However, audible readers may not be familiar with podcasts and will be concerned with the very different format. I am a voracious podcast consumer and I would list this as among the very best. What was one of the most memorable moments of West Cork? I think hearing the real voices of the citizens and investigators of West Cork. Especially as an American who had no idea of this case. Which character – as performed by the narrator – was your favorite? They are not characters but real people. They were all excellent. If you could give West Cork a new subtitle, what would it be? Please give this format a try it is excellent and the editing is superb. Yes, this is a podcast, not a book. So what? It's brilliant! A moving, compelling story of a murder and justice as yet unsatisfied. What could be more gripping than hearing the tale told from so many angles by the people who experienced it first hand and a couple of narrators who cared enough about the story to spend three years to bring it life. Absolutely, I listened to West Cork each day on my commute to and from work which is only about 20 minutes. It was so captivating and I couldn't wait to get back to hear the next part. I so wanted to believe that Ian was the murderer but then his personality swayed me into thinking he was innocent, then suddenly I would say..Oh No he definitely did it. I kept changing my mind and I still have not made up my mind. Which character – as performed by Sam Bungey and Jennifer Forde – was your favorite? Most interesting is the fact that a woman can live with a man that abuses her year after year and is a suspect is a murder and she continue to stay. The day he ripped my lip off would have been enough for me. Thats not love, sorry. She is afraid of him and what he could do to her, especially when he was younger. Not at all what I expected, but very interesting look at an ongoing investigation into a tragic crime. This is not a crime drama or a true crime book. This is an audio documentary following a real crime committed in a small, idyllic Irish town, akin to an episode Cold Case Files or Cold Justice...just without the video aspect. I got hooked right away and finished it in 2 days. Definitely worth listening to! I think I like the new format but it takes some getting used to. I don’t like the credits at the end of each chapter as it interrupts ones train of thought. It is a unique way of listening to a story with many different voices. Will take some time to get used to. 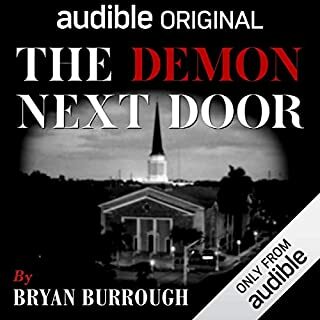 I have listened to only 7 of the 13 episodes, but I will complete this audio book. This true crime story is fascinating. My significant complaint with this 13 episode book is that the credits are repeated after each and every episode. The setting is County Cork which is the most southwest part of Ireland. Cork city, the county government seat, is a reasonable size city of 120,000 population and it has an airport. The town of Blarney with its famous stone is a few miles north of Cork city, so the area is a popular tourist destination. West Cork, the area where the murder was committed, consists of several peninsulas that jut into the Atlantic Ocean. West Cork is a relatively primitive area more than 50 miles from Cork city. When I was there it in 1996 it was most assuredly not a tourist destination. The word remote comes to mind. The West Cork murder series reminds me to ask the question, "What do I want/expect from Audible?" My personal answer is a very wide selection of audio books at a reasonable cost. Audible's credit system suits me perfectly; however I would like to see another membership level which offers more credits than Platinum Annual at a slightly lower price per credit. I'd like to purchase 50 or even 100 credits at one time. 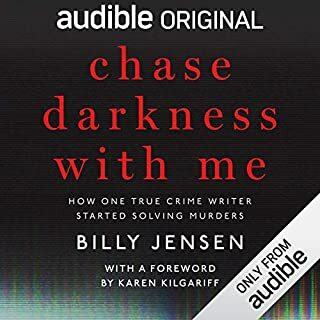 What I appreciate most about Audible is that I can purchase new releases from major publishing houses for a single credit which costs less than the cost of the same book in any other format. For example, the recently released Look for Me by Lisa Gardner cost me one Audible credit ($9.56) while the Kindle version sells for $13.99 and the dead tree versions start at $17.70 at Amazon. I also appreciate the cost advantages for many Audible books offered by Kindle Unlimited membership. There are 2050 titles in my Audible library and I have borrowed 180 additional Audible titles with Kindle Unlimited. I love audio books and I love Audible because of the range of titles and the pricing. I speak only for myself when I write that the Audible extras such as Channels and Audible Originals offer little of interest to me. 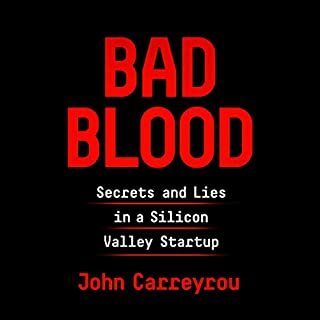 Unique approach to audio books, worth a try! 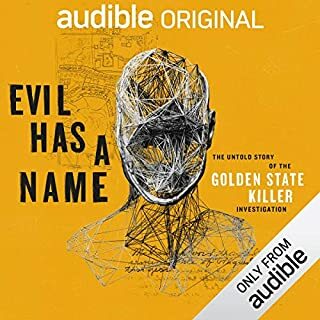 This isn't your typical audiobook, but instead an audio documentary, if you will, with recorded interviews, replays of news broadcasts, and the like. 1. Breaking this into 13 30-minute "episodes" made for a very repetitive and redundant reciting of the cast and crew. This should either be eliminated altogether, or condensed onto fewer episodes. Hearing the production info so frequently was very annoying. 2. The story spends 95% of the time discussing the main suspect. I was really hoping for a little more investigative reporting around the alternative theories, instead of just a mere mention. Overall, it's well worth a listen, especially at the $0 it cost me! I REALLY liked this podcast! Not only is it a mesmerizing story, but the way it was put together kept my interest throughout. The only thing I didn't like (because I listen to multiple sections of the podcast at a time) was the minute or so intro between each, citing the producers, authors, etc. But I just hit the advance 30 second button twice and that took care of the issue. True crime, small Irish village, gossip, rumors, quirky folks, incompetent police, and more. Would love more of this type of offering. Chilling and poignant story telling, getting deep into the heart of this brutal killing of a beautiful woman in the place of her quiet home. The whole maddening affair, caught up in lies and misleading information. I hope on day true justice can one day be satisfied. To honor the life of Madam Sophie Toscan De Plantier. 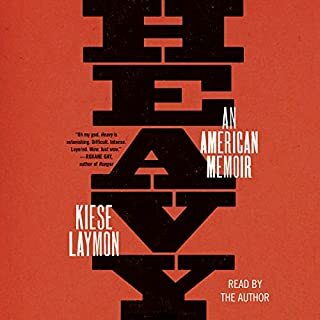 An excellent example of storytelling, incorporating voices of those involved with the narrative and goal of finding the truth and remembering our fragile humanity. Loved this one. Well produced. Hooked from episode one. It follows the Serial podcast format. Excellent. Well researched and produced. Very much like the first season of Serial with Irish accents. Just like most true crime docos.. too much anticipation building too much unnecessary details and little actual investigation and deduction, let alone smart plot twists. Murderinos and true crime junkies will LOVE this. I could listen to these narrators all day. Top class work and great well told, honest story. This story is fascinating. I had never heard of this case so I was surprised at every twist and turn. Very well made, I felt like I was there. I highly recommend it. I hope this brings forward new information, this woman deserves justice. Fact can often be stranger than fiction and this story epitomises an extraordinary episode in Irish jurisprudence that often us simply beyond belief, but nonetheless true. Amazing. It makes you feel like you were in '96 in wind swept west cork!!!! Was a well told story. Must of been hard to tell a story that still has no ending.